Welcome to the Utah Cutting Horse Association Website! 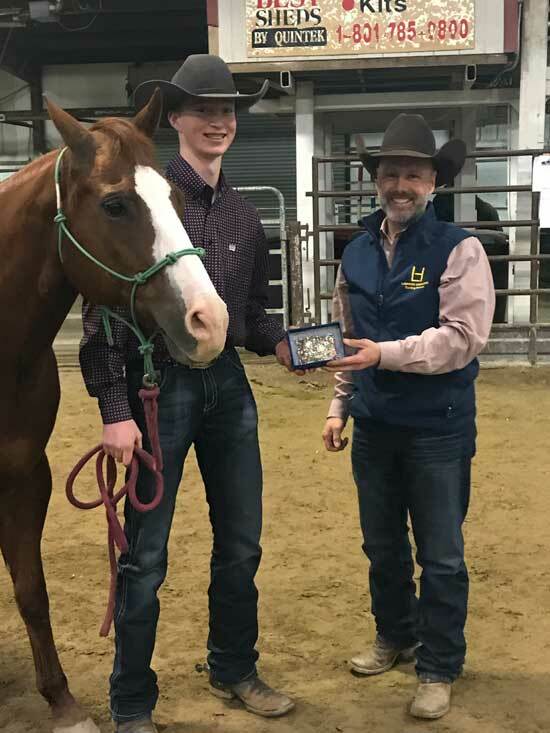 The UCHA Ogden Cutting, May 10-11, Golden Spike Riding Arena is just around the corner. We are getting ready for it and hope you are too. Room accommodations: the 150th Anniversary of the driving of the Golden Spike is that same weekend. This is making rooms very limited. If you have access to a living quarters trailer, camp trailer, bring it. There are full hookups on the grounds. You can also try Airbnb.com to see what is available. The earlier the better to make your reservations. Stalls reservations: Contact Kim Whimpey by either text or call at 801-391-0852. (Kathryn will not be in town) When you give her the number of stalls you need, also mention how many shavings. This really helps! All we need is you! See you soon! Thank you for making the 2018 Utah Futurity & Aged Event a success at our new location the Golden Spike Events Center, Ogden, Utah. We truly appreciated your attendance and want to congratulate all the winners! See you next year. Congratulations to our 2019-20 UCHA President - Matt Porter. He is replacing Mike Holman who has served for the past four years. Andy Christensen is the newly elected Vice President. He is replacing Danny Blackhurst. A HUGE thank you to Mike Holman and Danny Blackhurst for all they have done these past four years. They have truly thought of the welfare of our association and have worked very hard to achieve the goals of the association. A welcome back to the 2019-20 UCHA Board - Blake Christensen, Luke Denton, Heidi Evans, Jennie Hale, Danielle Pace, Darrel Scow, Shaun Tree and Dave Whitaker. New to the board is Westin Sampson. If you have any questions or see a need, don't be afraid to talk with any of these. You can find contact number and emails under "About UCHA" above.